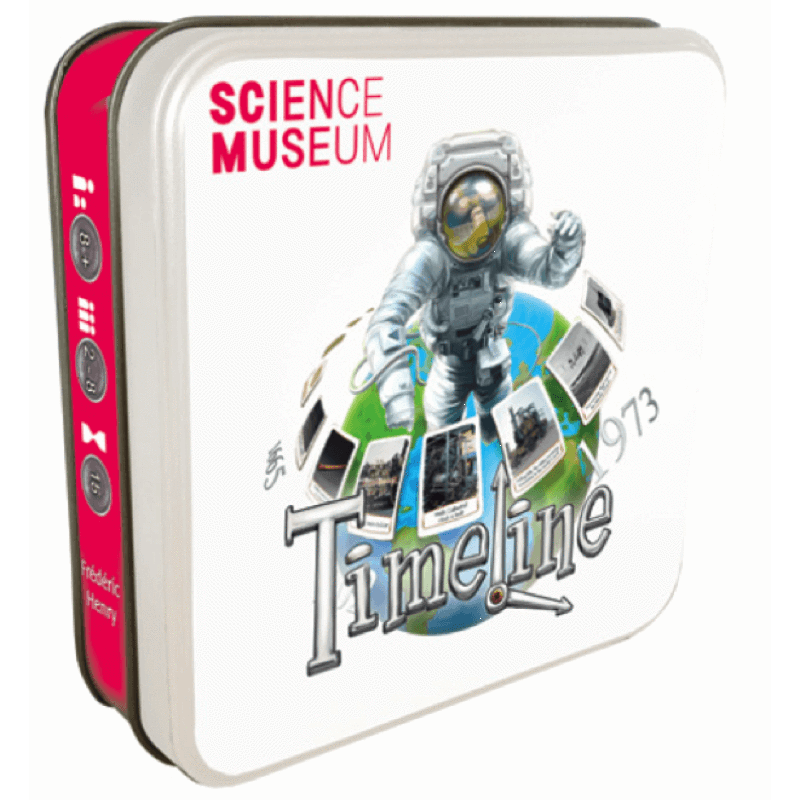 Timeline: Science Museum is a card game played using 109 cards. Each card depicts an event on both sides, with the year in which that it occurred on only one side. Players take turns placing a card from their hand in a row on the table. After placing the card, the player reveals the date on it. If the card was placed correctly with the date in chronological order with all other cards on the table, the card stays in place; otherwise the card is removed from play and the player takes another card from the deck. 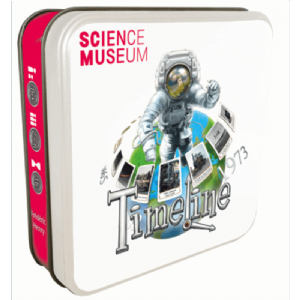 Timeline: Science Museum can be combined with any other title in the Timeline series.